I had to switch out my video card on my XPS8300. It has a display port instead of an HDMI. So I put a cable on it to go from the display port to the HDMI on my Dell 24" monitor. However, it only displays grayscale. If I use safe mode, it displays in color. The windows banner comes up in color but by time it gets to the password page it is grayscale. I use Win10. I saw a forum from a few years ago regarding this but none of those suggestions worked. I can't remember the video card I put in but I know it is an AMD card. 95 PERCENT of 'Radeon HD series" cards are now legacy. This means the Automatic driver and the Current Catalyst driver DO NOT SUPPORT OR DETECT the old Radeon HD 8000 7000 6000 5000 series the Directx 10 HD 4000 3000 2000 series is an even older Legacy Version. 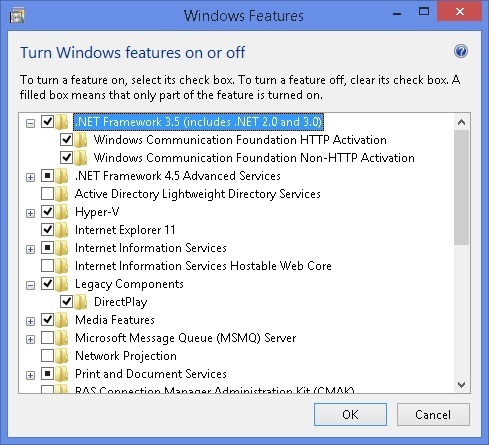 That means that DOTNET must be re-installed manually via control panel add features to windows AND legacy direct play must also be added back Manually AND Direct X 10 June 2010 must be reinstalled manually and the LEGACY Driver must be installed MANUALLY. Directx June 2010 redist before installing the video drivers. DOT NET 2.0 3.5 4.6 before installing Catalyst Drivers. Download the file and extract into a folder then run DXSETUP.EXE as administrator. Radeon 6450 will work fine with windows 10 in ANY size Dell. I bought the graphics card Dell said what a fit for my XPS8300 machine. Why would they recommend a legacy card that I can't get current support for? Do you have a suggestion for a card that would fit? I am not a gamer...I use my machine for documents, financial software, internet etc. What is the Model of the card? Legacy just means you have to install drivers manually not that the card doesn't work. TO: Speedstep. I'm sorry, I am having a little trouble following the order of steps you are suggesting. Can you simply the order with maybe less verbiage? Thanks. Since you didn't tell us what AMD card you have, we can't know for sure what would work. The way to figure that out is to type msinfo in the "Ask me anything" box and press Enter. It will bring up system information. From there you can click on the Components + sign on the left and then click on Display. The program will tell you what card you have in the right panel. All of the HD cards will work with Windows 10; however those below the HD 7700 series (and, apparently the R5 cards listed) won't use the latest version of software from AMD (and AMD won't provide automatic updates). Instead, if you have an HD 5000 - 7600 card, Windows 10 will detect it and automatically install the last driver provided by AMD to Microsoft when it was putting together the operating system in 2015.